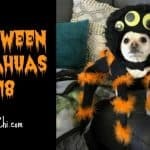 I really enjoyed making this post. 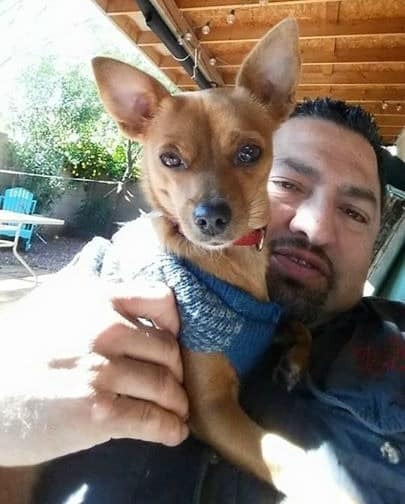 I love nothing better than seeing a big ol’ he-man with a tiny little Chihuahua. 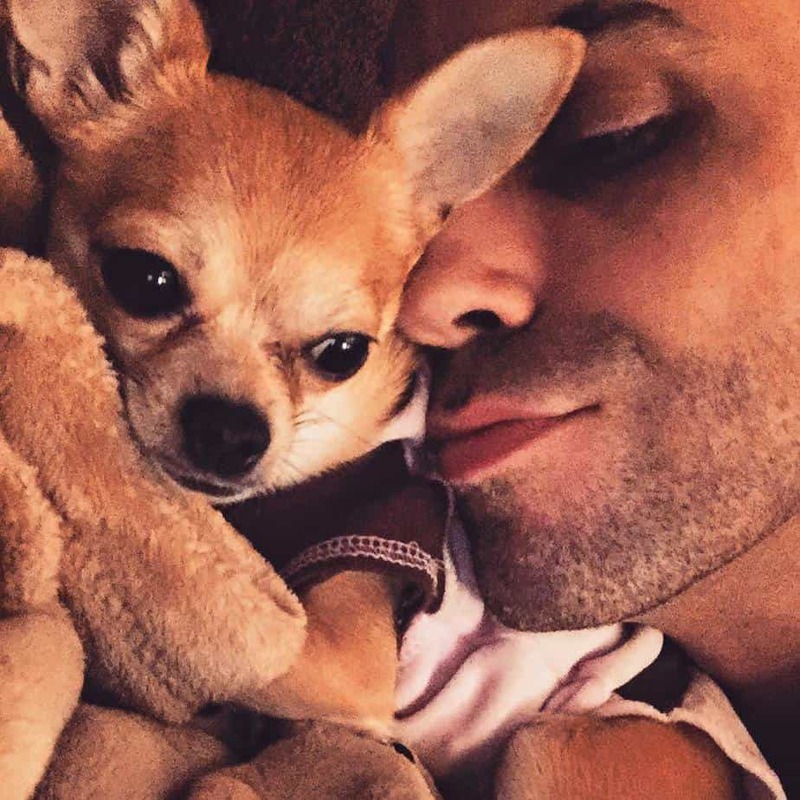 Who says Chihuahuas aren’t for men? I think all these awesome guys would beg to differ! 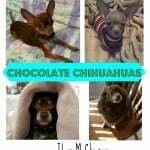 So in honor of upcoming Fathers Day, here is my tribute to all the daddies out there with their Chihuahuas! 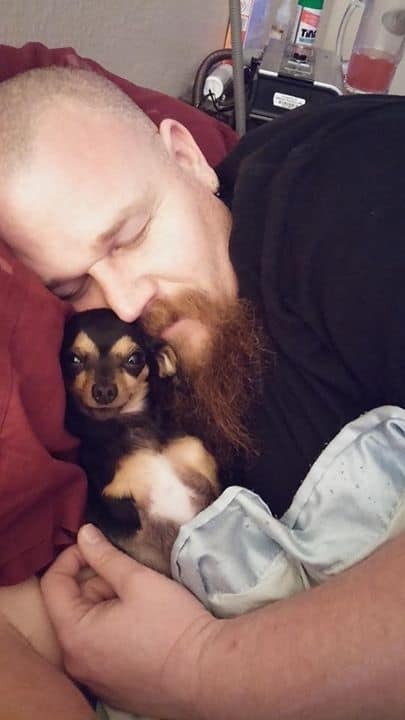 This little lady is Maya with her daddy. This was submitted by Violette Torre-Bravo. 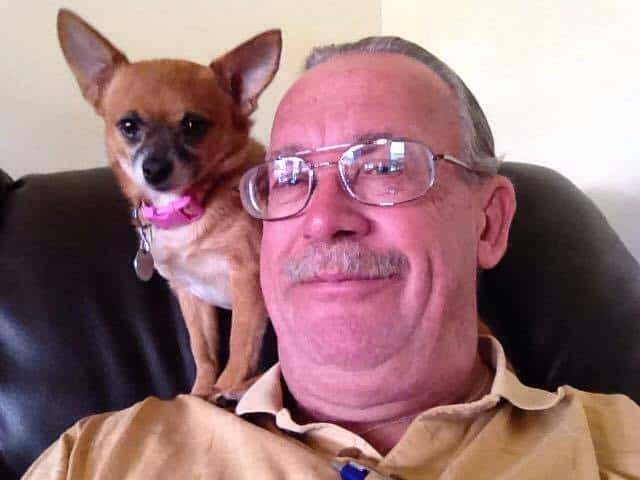 George Kelm says when he was sick, he sweet Chihuahua Chloe kept him company. 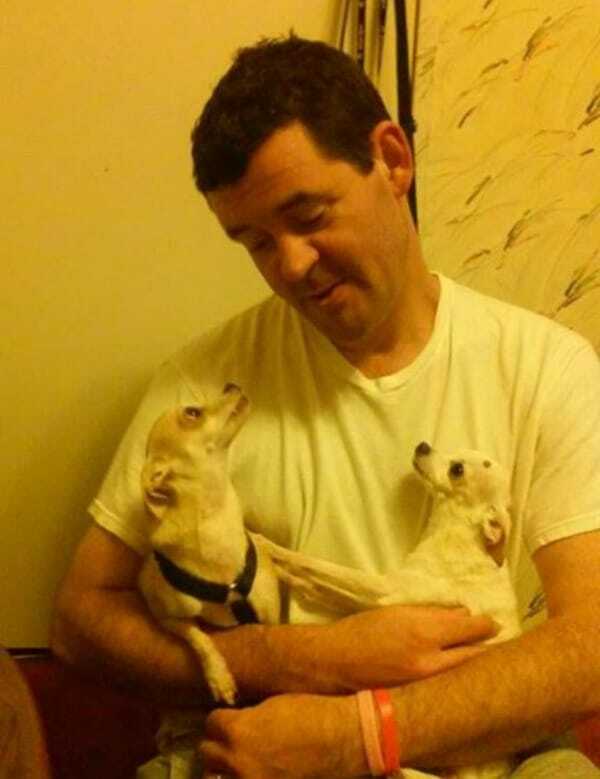 Robin Brown submitted this photo of her husband with their 2 Chis Phoebe and Chandler. 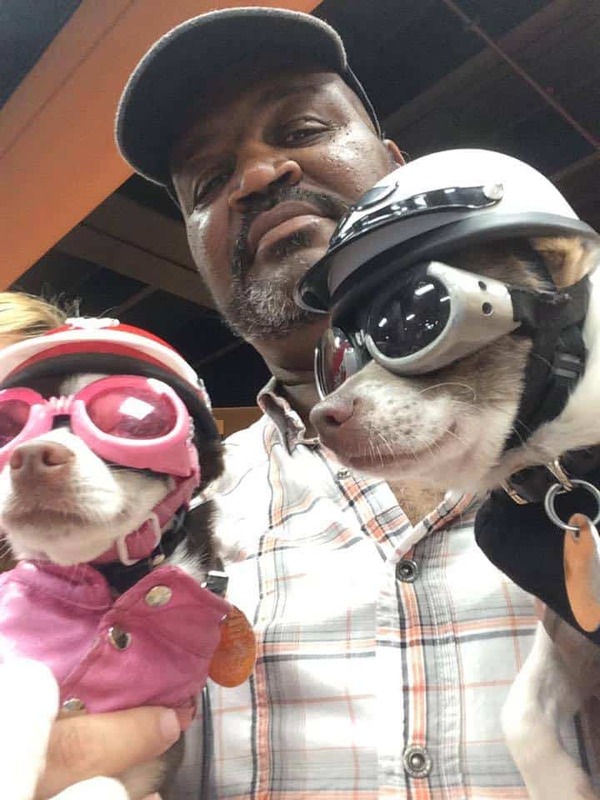 They were at Bikeweek in Daytona Beach when this photo was taken. 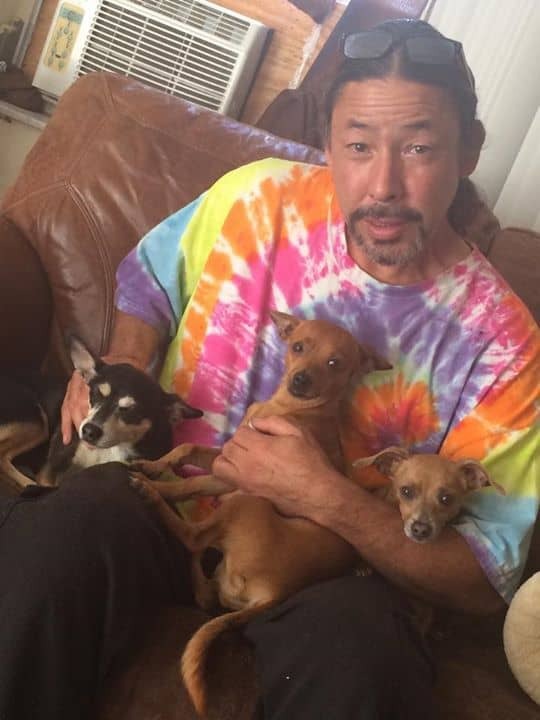 This is John Almstedt‎ hanging out with his 2 Chihuahua girls Judy and Jeannie. Love this photo. You can feel the love, can’t you? 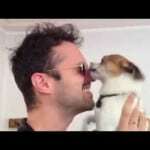 This is Saffron (AKA Saffy) and her daddy Rob Panos. 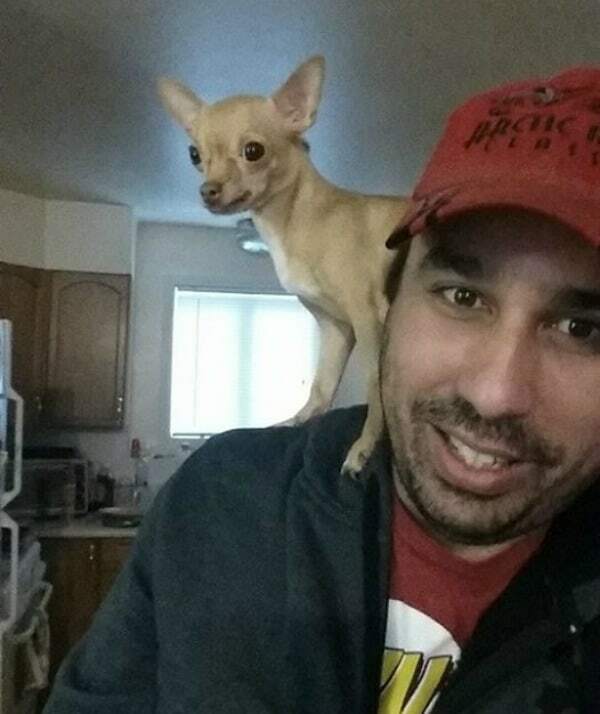 Gabriel Moya‎ says his Chi Darby loves to hang out on his shoulder like a parrot. Cute! 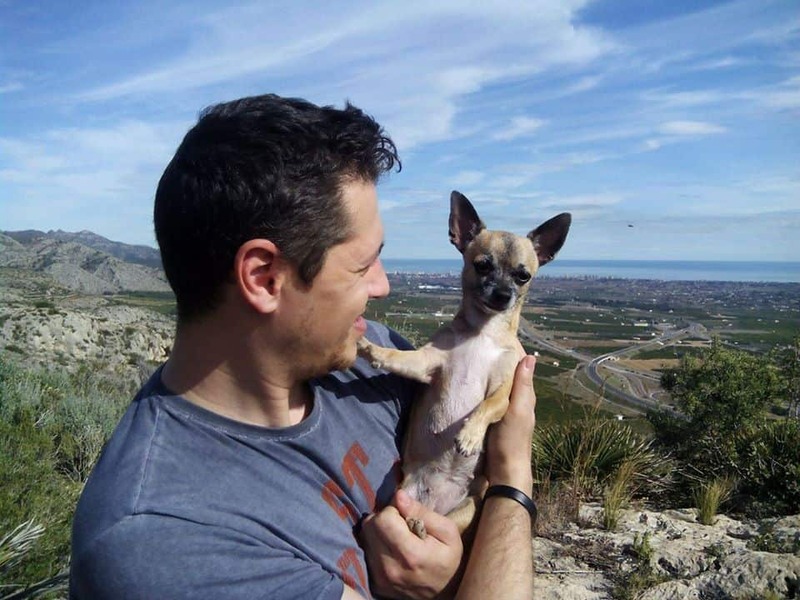 This little Chi is named Dalila Sancho Garcia‎ and she lives in Spain. 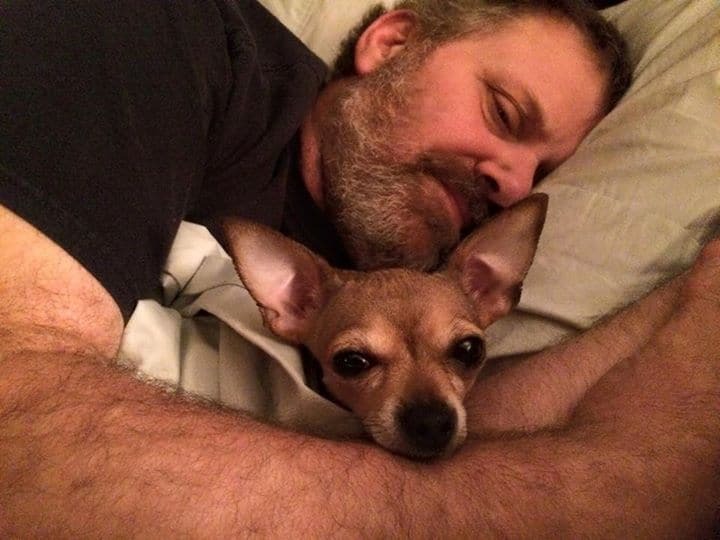 I’m not totally sure this is her daddy but he looks like he loves her. Dalila lives in Spain. 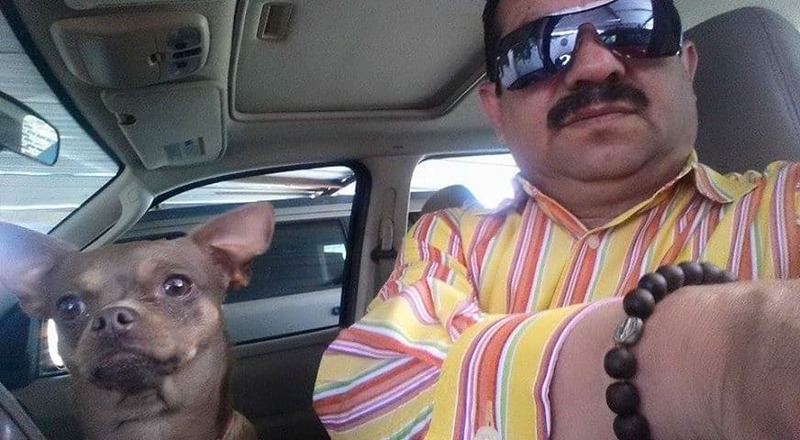 This is Roberto Hdez Albarrán‎ with his Chihuahua Shelsea. 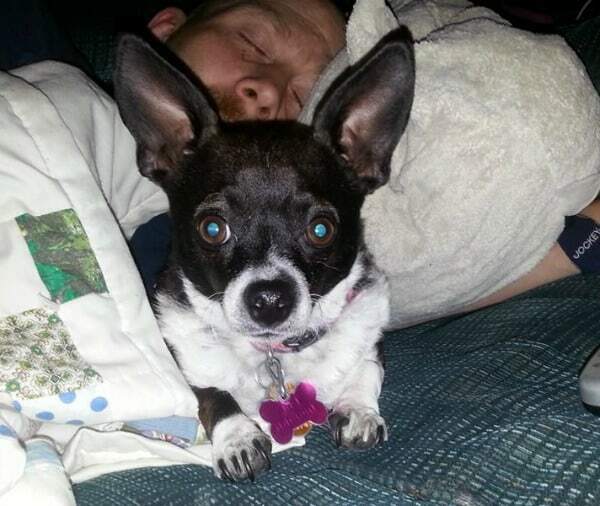 This is Princess with her daddy Ralph Sutliff. We have lots of little “parrots” that like sitting on their dad’s shoulders don’t we? 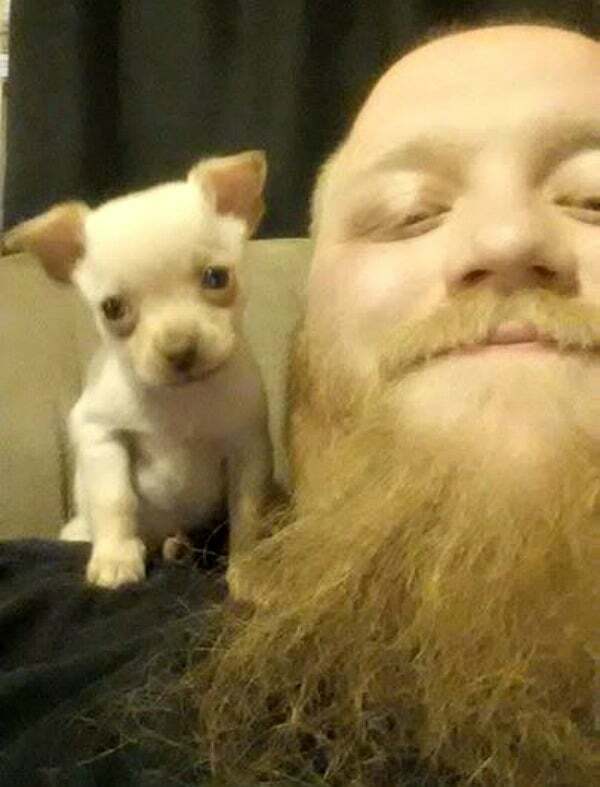 This is Mia and her daddy Jeffrey Riley‎. 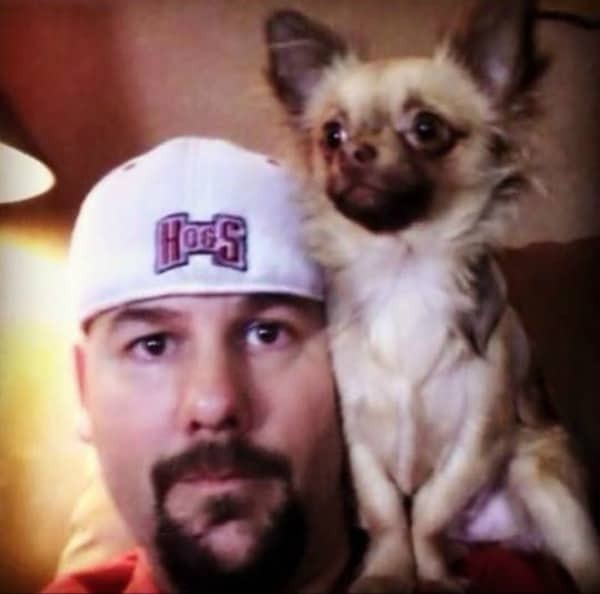 This is Zoey perching on her dad’s shoulder waiting for her mom to get home. her dad is Richard Brushia Jr.‎ I love this photo of these two. 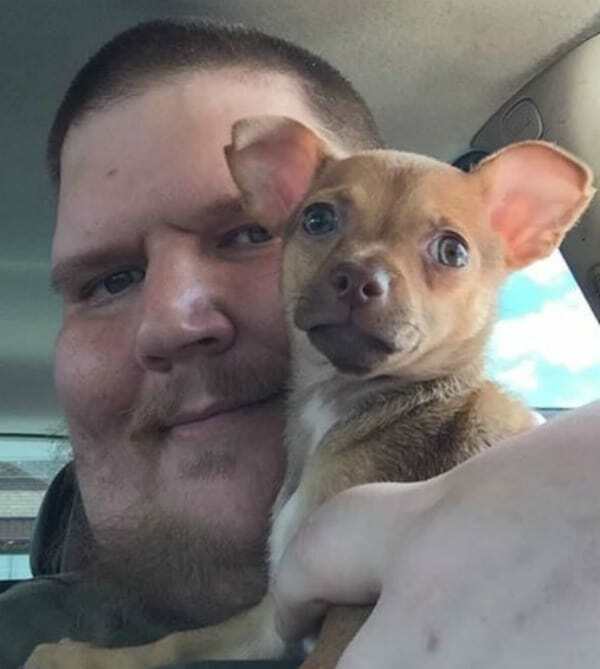 They both look like they are smiling. Amy Bassitt Waara submitted this photo. 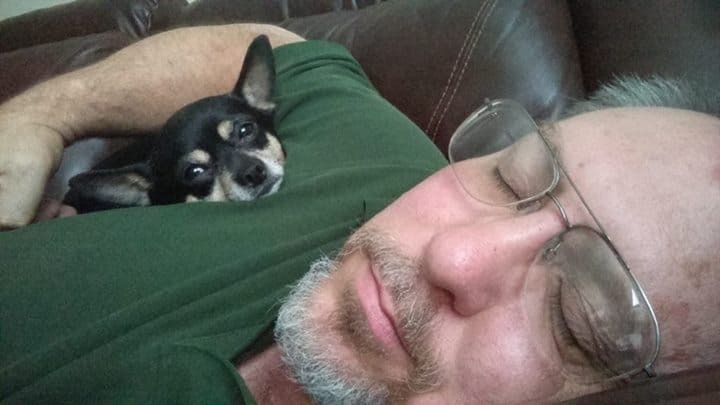 This little Chi taking a nap with his daddy is Mickey. His dad is Jim Robinson. Bob Rickabaugh is a familiar face in our community. 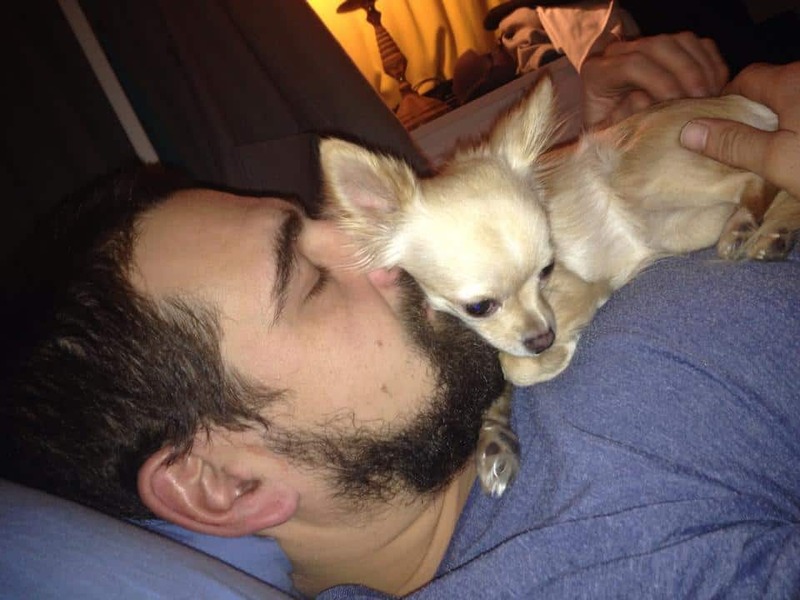 Here he is taking a nap with his little girl Chi. I can’t remember her name though. So sweet. I love Chloe’s owl sweater. 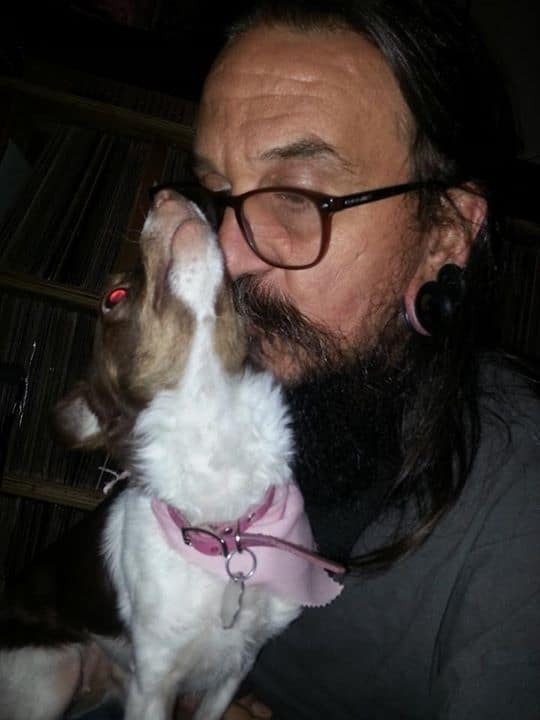 James Starkey‎ says Chloe was recently rescued. She had been abused and even had her tail broken off, poor baby! 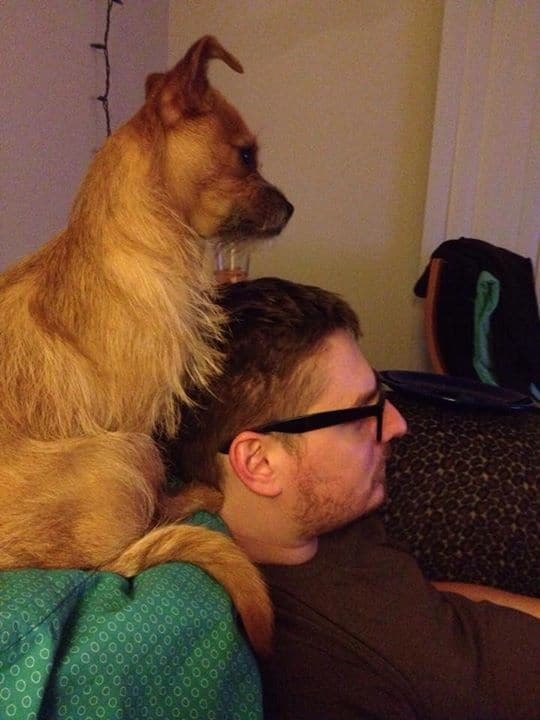 This is Ginger sitting with her daddy Bryan Waters. 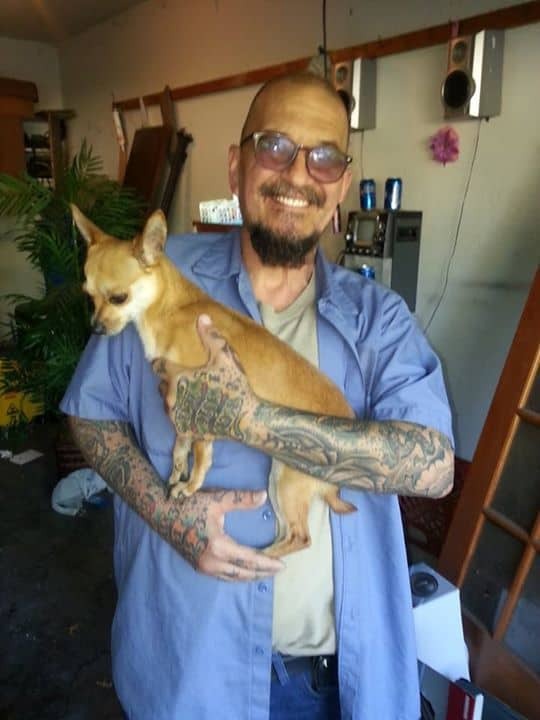 This is John Almstedt‎ with his little Chihuahua friend. 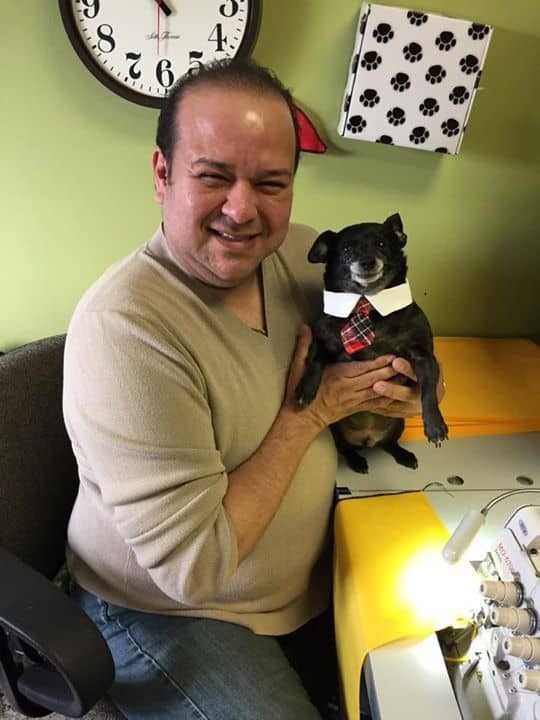 Say hello to Millie sitting with her dad Ed Rangel‎. [wp_ad_camp_1] Judy is loving on her daddy here. He is John Almstedt. 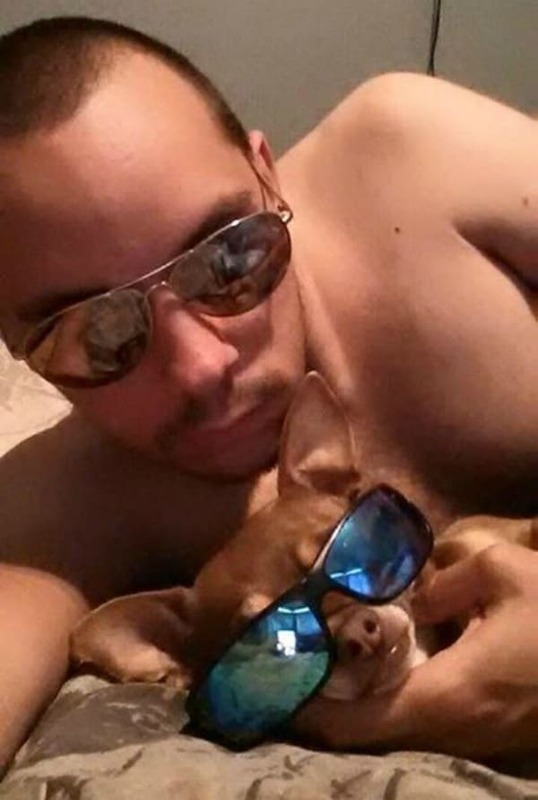 Amy Ashlee Ezell‎ submitted this photo of her boys enjoying some rays! Adorable little Zero is 6 weeks old in this photo. 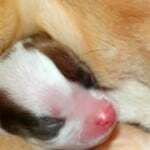 His daddy is Derek Yelton‎. 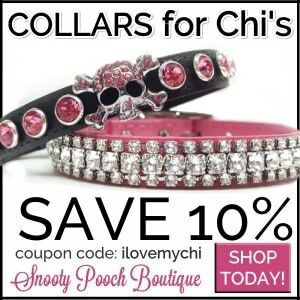 I don’t know anything about the adorable little Chi but the dad is Benoit Deslauriers‎. 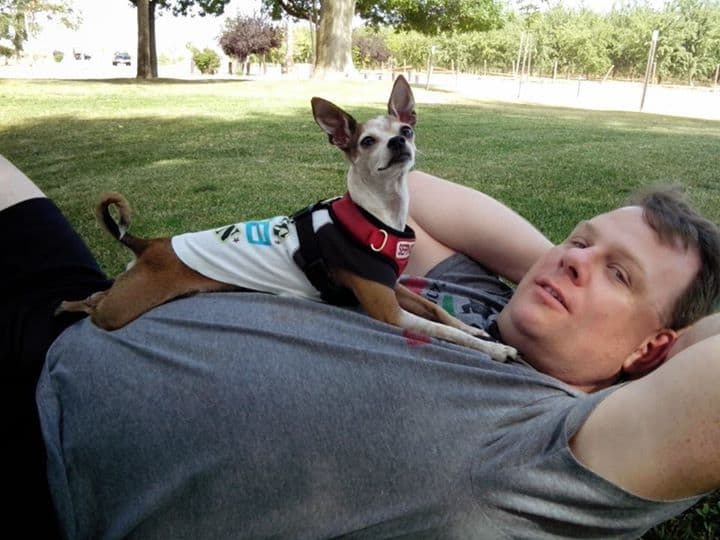 Little Skippy and his dad Adam Scott Sims are taking a break from a long road trip in this photo. 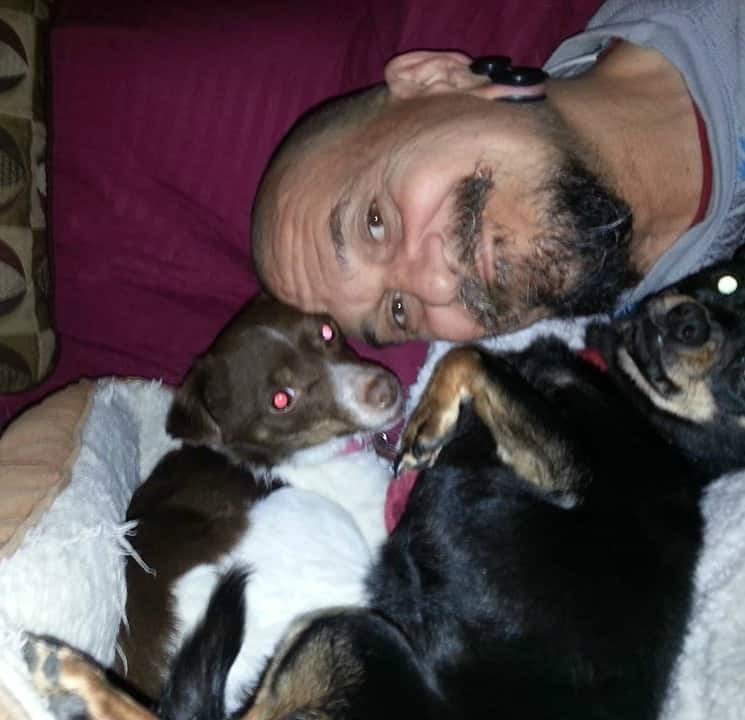 Beth Jones submitted this photo of her two Chihuahuas Chica and Lil’ bit with their daddy. She says they really love their dad. You can tell! 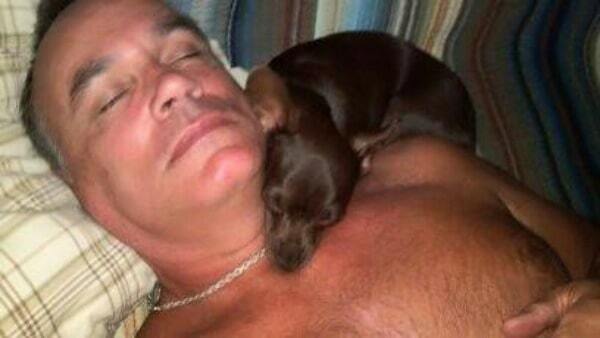 Little Cheech is cuddling with his dad Joe Frank‎ here. 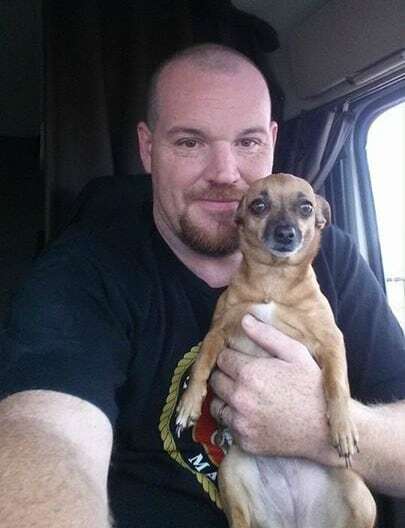 3 year old Sara Jane loves riding in the truck with her daddy Christopher S Cheak. 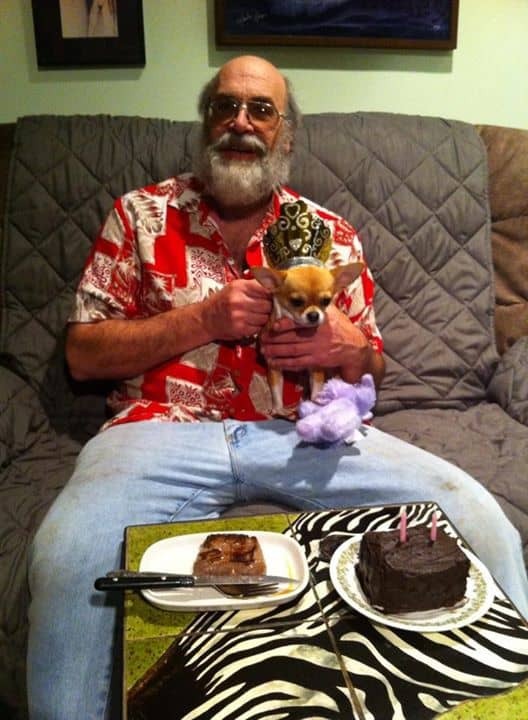 Little Tika is having her birthday dinner with her dad in this photo. 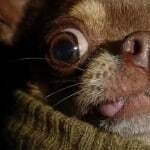 Submitted by Pamela D Witt‎. 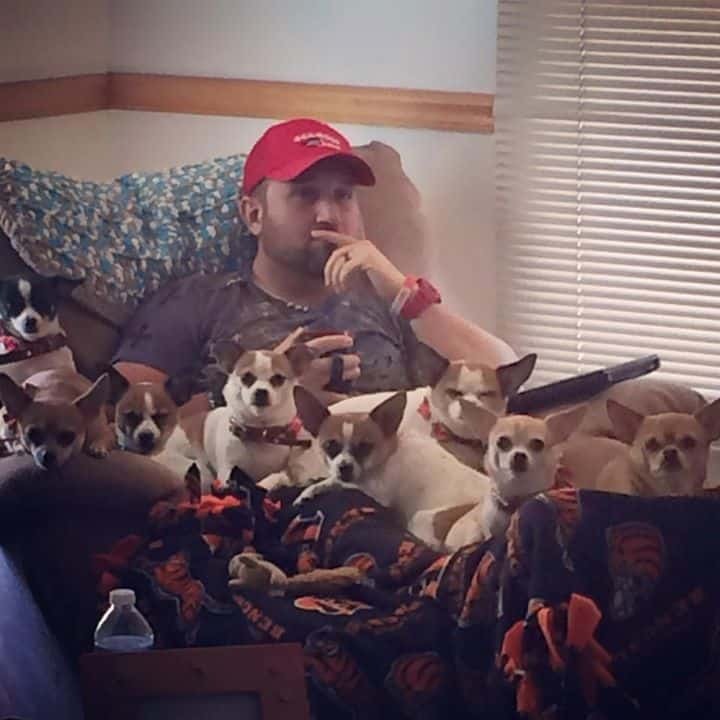 Penny Overmyer‎ submitted this photo of her husband with their 8 Chihuahuas. Yes there are 8 of them! 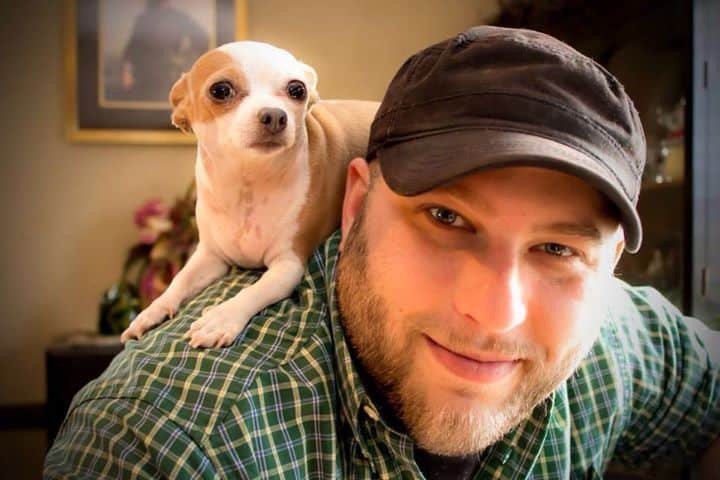 Little Boogie is not only completely adorable, she also helps her dad Tony Dickerson‎ with his night terrors from PTSD from the military. She wakes him up before they get physical and really bad. Good girl Boogie! 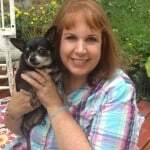 Chezbot the Chihuahua is with dad Ronee. 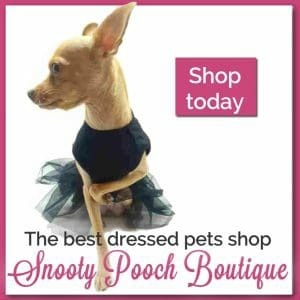 Photo submitted by Tessa Curry. 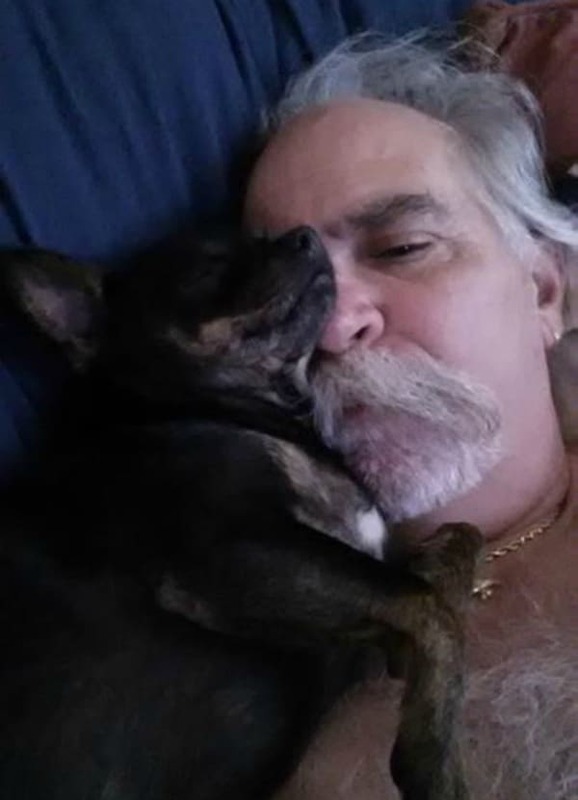 Teresa Harris‎ shared this photo of her husband with their 3 Chihuahuas: Pippo, Bonz and Benny. All 3 are rescues. 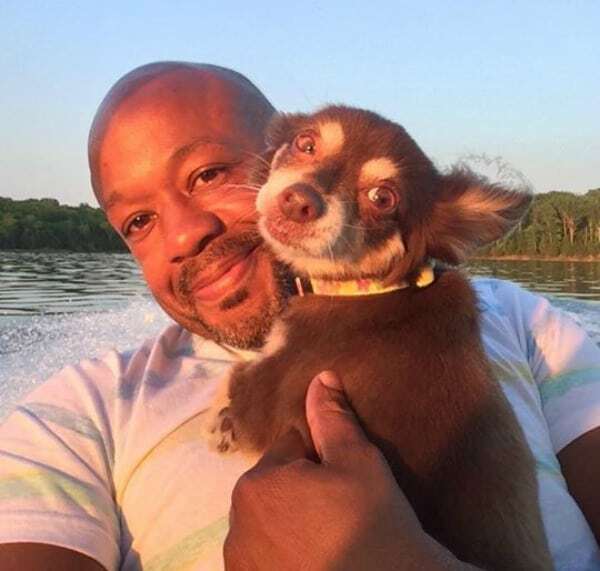 This is Phillip Mcclendon with his sweet Chi. What a sweet picture! 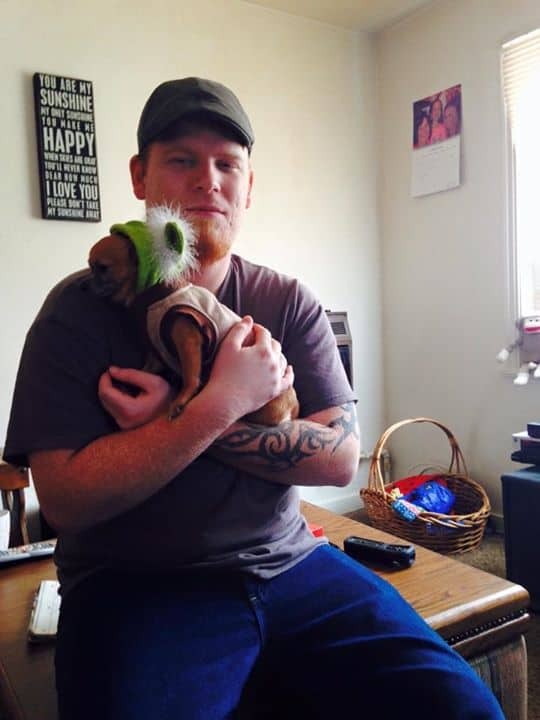 This was submitted by Jessica Walker. 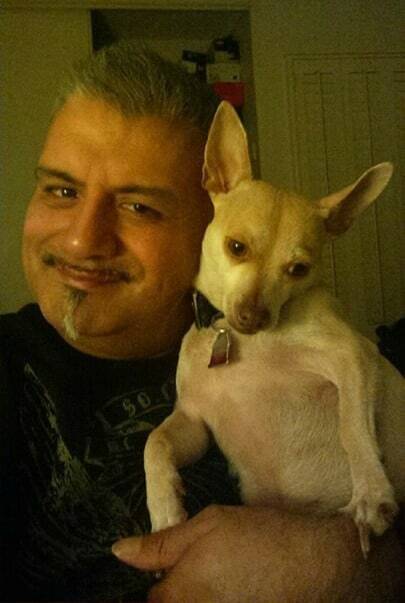 Richard B. Bernal shared a photo of his Chihuahua Prince and himself. 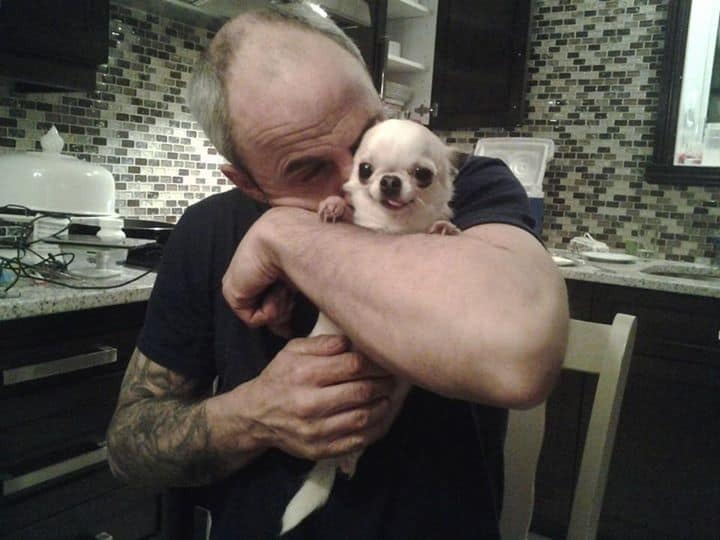 I don’t know the name of the little Chihuahua but the dad is James Head‎. Isn’t Maggie pretty? She is with her daddy Kevin L. Park II. 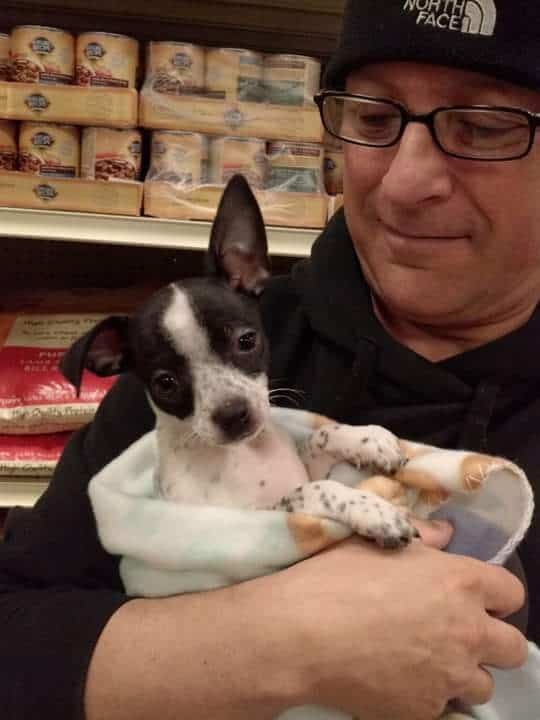 Last but not least we have little Pepe on a shopping trip with his dad Patrick Coyne here. So do you have a favorite? I find it hard to choose. 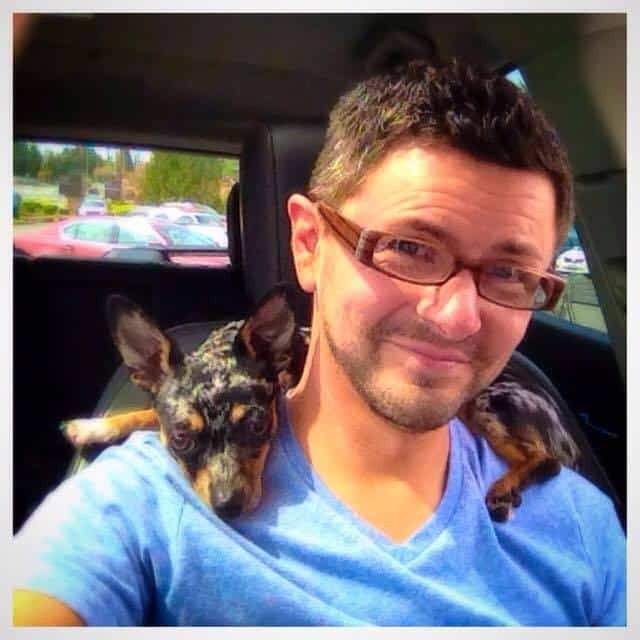 My husband is also a loving chi daddy…this is him with my darling little boy, Odin, out eating on the water. The photo didn’t make it through Lisa. 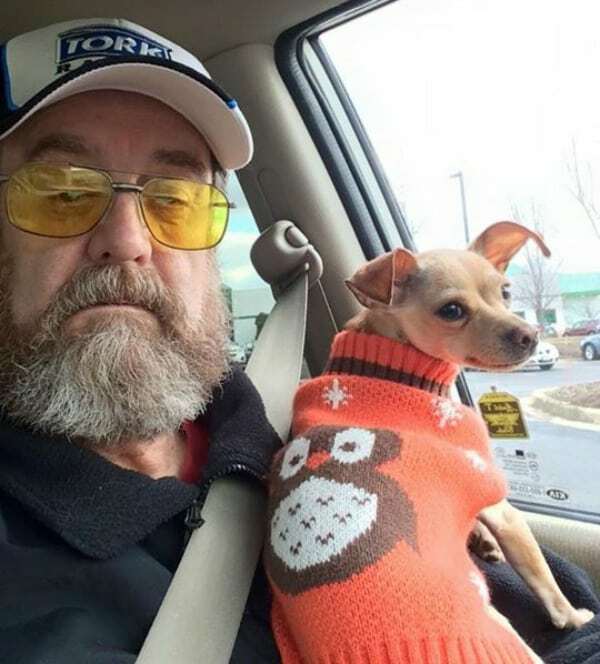 Bill with Sniper & Mika on the way to the dog park. All 3 are cuties Brooke! This is my steampunk pup named Easton, he is watch for mom to come out of the store with treats. This Easton at age 10 months, sitting on the dashboard watching his poppies ply baseball. He loves going to the baseball games. They are both cutie pies Troy! The girls love their daddy!!! Butter, Jellie, Miss Kitty and Gucci with daddy Rich. They all look so cute together! Aww, yall looks so cute together James!